If you acquire cash or other non-cash asset like vehicles, office equipment, building, etc. through a loan, the amount of loan is a liability for your company. 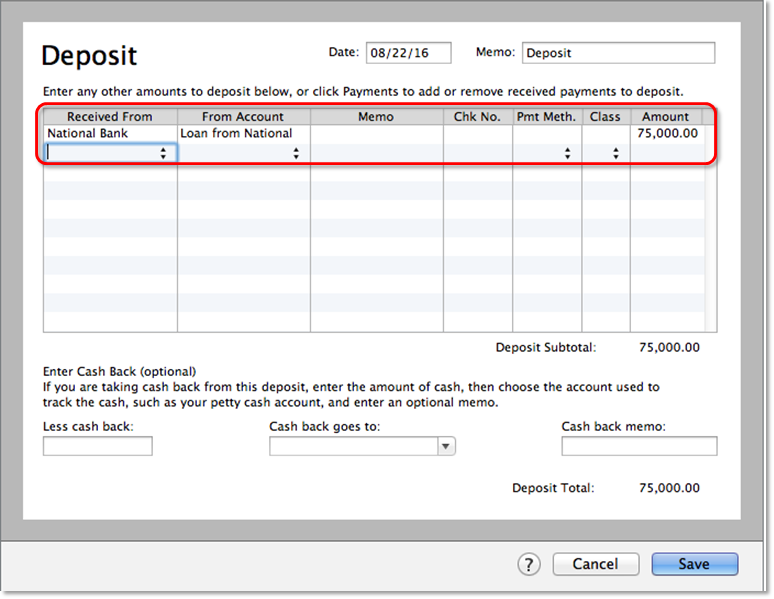 QuickBooks Desktop lets you track the loan amount and record payments so you stay on top of it. 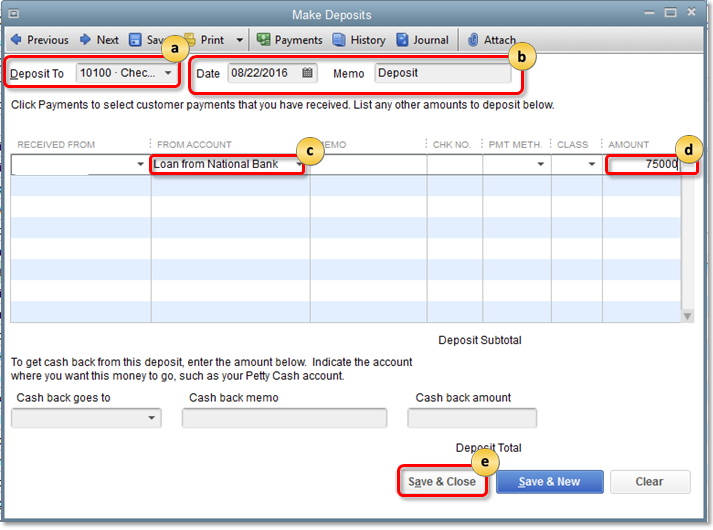 This article outlines the steps for manually tracking loans in QuickBooks Desktop. Instead of going through these steps, you can use the QuickBooks Loan Manager to track and pay your loan. From the Lists menu, click Chart of Accounts. 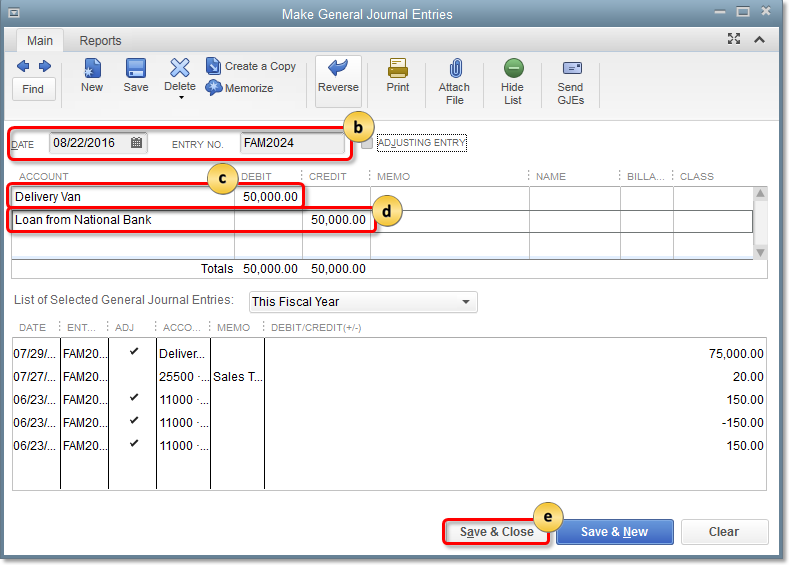 In the Chart of Accounts, right-click anywhere and select New. Other Current Liability: for short-term loans payable over one year. Long Term Liability: for long-term loans payable over a longer period. Enter a name and number for the account. From the Vendors menu, click Vendor Center. In the Vendor Center, click New Vendor. In the New Vendor window, enter the name of the bank or the company you need to pay for the loan. (Optional) Enter other vendor details such as phone number and email address. From the Banking menu, select Make Deposits. If the Payments to Deposit window opens, click Cancel. In the Deposit To field, select account to deposit the loan into. Check the Date and enter an optional Memo. In the From Account column, select the Liability account you created in Step 1. In the Amount column, enter the loan amount. Other Asset: for items that are neither Fixed Assets nor Other Current Assets. 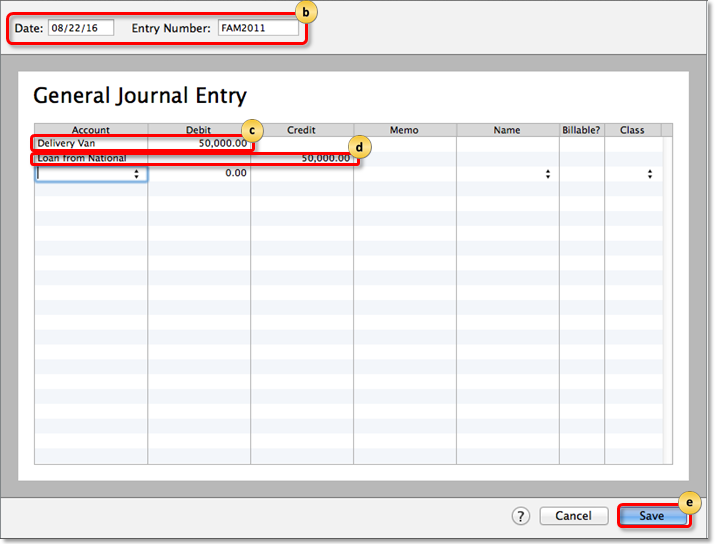 From the Company menu, click Make General Journal Entries. Enter the Date and journal Entry No. Click the first line and debit the loan asset account. Click the second line and credit the liability account. Payment for the principal amount will be recorded as a deduction to the Liability account. Once you have completed all payments, the value of the liability account will be zero. Interest payment will be recorded as a company expense. From the Banking menu, select Write Checks. Choose the Bank Account you will use to pay the loan. Verify Check NO. and Date. 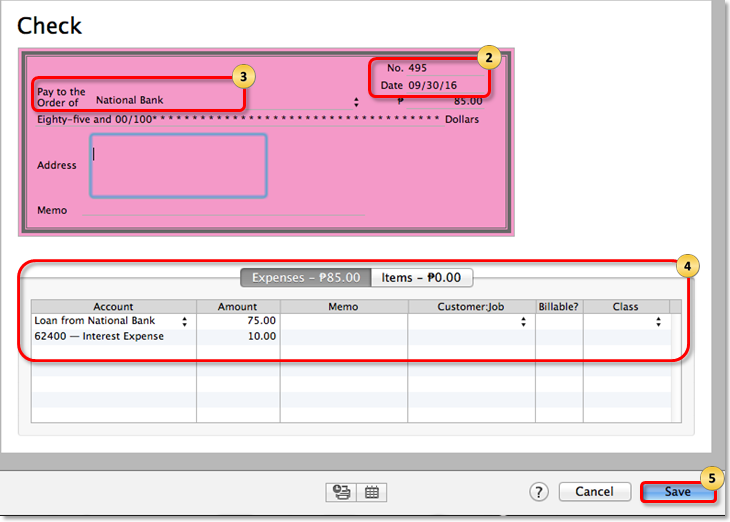 In the Pay to the Order of field, select the name of the bank. Click the first line then choose the liability account created in Step 1 and enter payment for the principal amount. Click the second line then choose an interest expense account and enter payment for the loan interest. 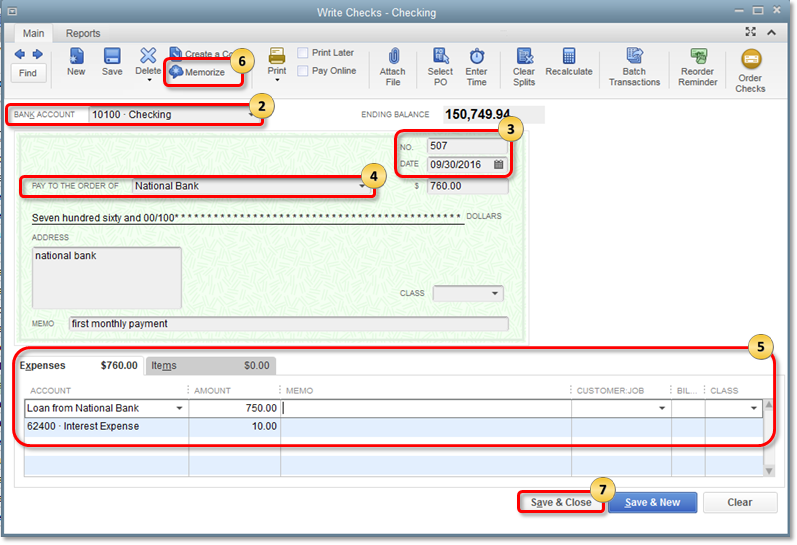 (Optional) Memorize the check if you want QuickBooks to enter the payment automatically at regular intervals. Choose and fill out all necessary fields. In the Chart of Accounts, click the + icon to add a new account. Leave the opening balance at zero. In the Vendor Center, click the + icon and then choose New Vendor. Enter the Date and journal Entry Number.